The Declare Your Dream Experimental Motivation Project is now 183 Dreams strong. And the dreams run the gamut. There are dreams that make you think, dreams that inspire, dreams that motivate, dreams that confuse, dreams that make you sad, dreams that make you go, “hmmmmm.” There are dreams that seem to be in code—only clear to the Dreamer who declared it! But with each new declared dream that arrives—no matter how big or small, realistic or fantastical, selfish or selfless, simple or creative—power, hope, inspiration, meaning and motivation arrive with it. 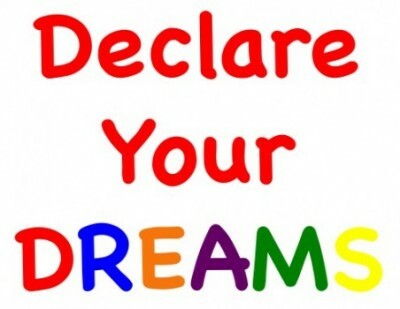 Go see a dream and get motivated to declare your dream today.